Teeth whitening is such a hot topic at the moment but for me I’m honestly not all that fussed with all of the faff, especially with most of the teeth whitening products out there not being great for sensitive teeth like mine. If you haven’t noticed by now or realised through my posts or snaps, I can be quite lazy when it comes to beauty and teeth whitening just isn’t my cup of tea with the effort it can take and the less than happy results it has on my teeth. Saying that, I am still keen to keep my pearly whites, pearly white and so whenever I can find a less ‘faffy’ option and one that doesn’t seem to strip my teeth for all they’re worth in the process, I’m always up for giving it a go. 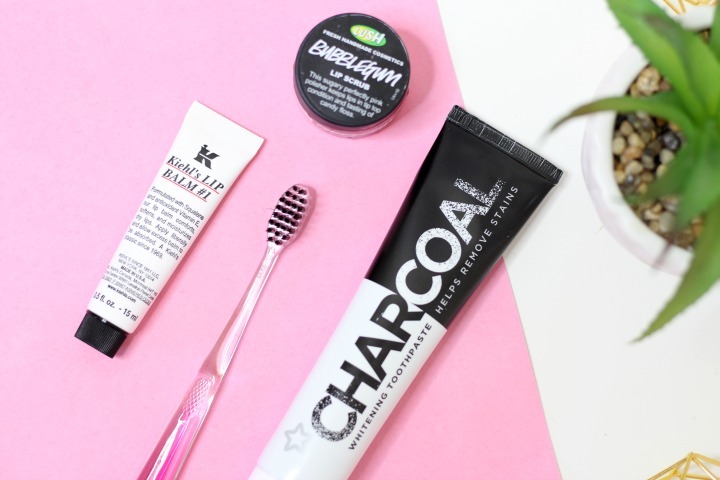 Superdrug have recently released two new products for whitening your teeth and they seem to be right up my street; the least amount of faff and effort imaginable but with great results! The first is a Charcoal based toothpaste which is just £2.39 for a tube and at the cheapest end of the teeth whitening spectrum that I’ve tried so far, I have to say it’s definitely one of my favourites. 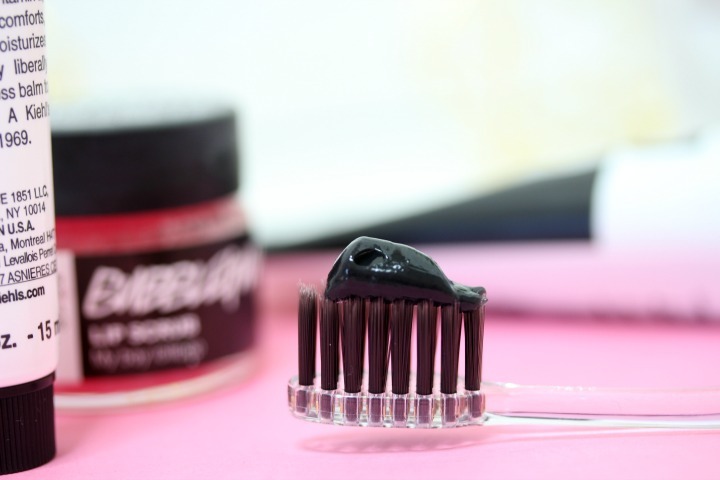 The activated charcoal within the toothpaste is known to be great for removing stains and restoring your teeth back to their natural whiteness and having used this for a good month now, I can definitely say I’ve noticed a huge difference in the colour of mine. I use this on my Superdrug Charcoal Infused Toothbrush (just £2.25) and have been loving the results so far. The toothbrush is specifically designed with soft bristles and a charcoal infusion to help whiten teeth with a gentle clean and I have to say that using these two every day combined has definitely improved the brightness in my teeth a great deal. Although you could use this on it’s own as your normal everyday toothbrush and toothpaste, I prefer to have a good clean of my teeth with my original set first and then go in for a quick brush over with the Charcoal Toothpaste and toothbrush from Superdrug. I don’t go overkill when it comes to brushing my teeth this way, I’d say I’ve cut down the time on each so that I’m still only giving them around a two minute or so brush, but this way I feel like they’re cleaned and then whitened all in one go without feeling like I’ve missed a step. This way for me is so easy and I instantly feel like my teeth are whiter and brighter after every brush. I think these products are perfect for easy, at home teeth whitening and with everyday use do an amazing job at maintaining their shine too. For a grand total of £4.74 you really can’t go wrong here and there’s no fear of damaging your teeth more like you would have with solutions, trays and strips! I’m a massive fan of charcoal for a plethora of beauty tasks and this is just another one added to my list! You can pick yours up on the Superdrug website or in store. Next Post How to Turn Off Snapchat Maps & Why you should be doing it. I am a little freaked out by charcoal, not sure why but previously the thought of using the toothpaste scare does me! But this review is great and actually I think go and try this now!